It may be that a story about slavery in the American South should not be told because it is not suitable for telling through the forms of utterance of a High Culture that seemed not to have learned better about the programmatic de-humanizing of whole peoples as World War Two approached. American slavery—even in the dread years before 1840 in states like Georgia, where very few African Americans were encouraged to survive past early adulthood—is not the Holocaust. But given the two centuries that have passed, and the mandatory illiteracy of the victims in that state, and any understandable disinclination of escapers in any case to describe their ordeals while still remaining property under American law (and therefore returnable to owner on sight), the available archives of slave narratives relevant to The Underground Railroad , though remarkably large, do give the reader a similar sense of peering abysswards from some vertigo-inducing remove. Colson Whitehead does not in fact attempt to mime the voice, or more than through flashes of insight intermittently attempt to recreate the interior world of his cast, though he is good on capturing the indigestible gas vented by the owners when they attempted to justify themselves: a heat-death palsy of human discourse that stains the page. At least they had pages to write on. I am not myself any way deeply read in the array of fiction that depicts slavery in the United States of America before the Civil War; the only previous novel set in that world to affect me as deeply as Whitehead's terribly stressed tale was Octavia E. Butler's Kindred (1979). Both novels are of course non-mimetic (partly for reasons of distance suggested above), and benefit from the loosened stays of fantastika to wriggle into some coign of vantage where bits of the truth about the nearly unsayable can be scryed, though darkly. Neither fully succeeds, as the matter at hand is in some deep sense unrecoverable, nor will any novel or other form of scrying ever fully succeed to address realities which must become uncanny (which is to say revenant) before we can begin to tell their claims on us. And The Underground Railroad itself does hit the buffers a few times, when Whitehead's tale is tamed by a have-your-cake-and-eat-it opportunism about the narrative escapes from the prison of mimesis he has perhaps too dignifiedly permitted himself: when he mentions something out of the fantastic, but does not do it. 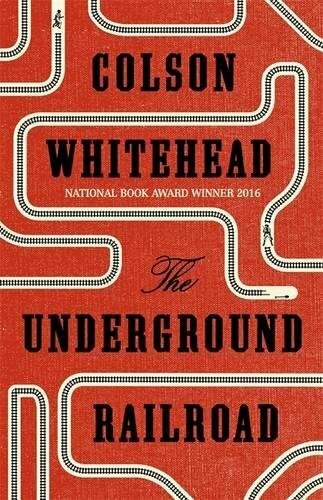 The Underground Railroad seems to be set about 15-20 years before the outbreak of the American Civil War; if Whitehead has coded in a more specific date-marker, I missed it through ignorance. The central character is a young black woman named Cora born into the plantation hell of Georgia during the antebellum boom in cotton that stressed its slave-based economy to breaking point: requiring a constantly growing labour pool whose very growth fixated the owners' attention on denying the nature of what was happening. The Georgia Whitehead gives us is both a horror story, in so far as it narrates moment-to-moment the consequences of that psychic stink, and a tale of terror: for it envisions an America whose fixated denials about race have not yet loosened, a land become rancid through denial that still inhabits its own bad air, as though we lived in the eye of some enormous magnetic field, a distended gut before the degaussing. This is true terror, which is to say vastation. Cora cannot anticipate what Whitehead tells us: that it may never end. She runs away from her plantation, inspired by her mother's earlier and apparently successful escape northwards (it is a persistent irritation in the book that no one seems to twig to her mother's almost certain death—as it turns out—drowned in one of the deadly Georgia swamps). At the verge of capture, Cora gains access to a southern spur of the Underground Railroad, which is the first of Whitehead's applications of fantastika to a narrative which seems at times little more (or less) than a montage of documented, documentary horrors. In The Underground Railroad the Underground Railroad is a metaphor become literal, which is a sleight-of-hand way to do fantastika, but workable if believed , even though Whitehead's description of the actual handcars and trains and conductors is more O Brother, Where Art Thou than steampunk. The Railroad, an actual network of tunnels through the South, is magically undetectable by white governments and their thugs on the surface. It is another secret map of America. It is as safe as a story that is going to end well. Cora's first journey takes her out of Georgia and into South Carolina, the first of her stops. It is this point that we discover what Whitehead is really on about. Though Cora's passion to escape, her fear of recapture and her spiky personhood are all manifested throughout the text, she is in fact not so much an agent who turns the plot but an observer, to whom the tale happens. We think (correctly) that she will remain at loose in America, and we very soon understand that the focus of our attention will need to be as much on what she learns as on how she feels about the worlds uncovered before her. So there is that: it makes it more tolerable to see what she sees in a novel that requires her to continue seeing. The Underground Railroad > is not, in other words, a traditionally structured tale with the ebb-and-surge thesis-antithesis-synthesis-ad-libidum what-next urgency of any "normal" tale of escape. What Cora actually does from moment to moment is a trick of the lighting. With the Railroad serving for Mississippi, she is another Huck Finn conveyed by a fluvial magic from island (or city) to island (or keep): each of them staged for her gaze. The Underground Railroad is in other words an example of that category of the Fantastic Voyage one might call the archipelago novel. It is not surprising, therefore, that the only piece of fiction mentioned in The Underground Railroad , far as I could tally, is Jonathan Swift's Gulliver's Travels (1726), which may not be the first archipelago tale but which remains maybe the most famous. Herman Melville's Mardi (1849) may also have been in Whitehead's mind, though Mark Twain's Adventures of Huckleberry Finn (1884) seems the closest model: for the obvious reasons I mentioned a moment ago, also because the perusal of a series of exempla leads almost inevitably to the kind of satiral insights both novels abound in, and also because each tale describes an escape-from-prison that climaxes westward in a slingshot with no happy landing guaranteed, no final island that beads the archipelago into one epiphany, no frontier confusable with Eden. So Cora arrives in South Carolina. Her first sight is a skyscraper (none existed in the real South Carolina before the Civil War) dominating a town that is (I think) never named. Except that he knows he's in New York, it's a bit like Karl Rossmann's first sight of America in Kafka's story: if America (written 1911—1914) had been completed, it might also have been an archipelago novel. The unnamed town with the unimaginable skyscraper, like some imaginary city out of a Calvino archipelago, also houses elements of fantastika through temporal displacement: Cora is employed as a human actor in the local zoo, where she enacts tableaux vivants of Africa life (I think it was not until the turn of the century that the first zoo village was opened in Europe); and she discovers that the medical establishment of South Carolina is not only experimentally infecting ex-slaves with diseases to monitor their course, but is engaging in wider adventures in eugenics in order to eliminate undesirables (a philosophy which seems not to have planned for the real world till around the 1920s). Chased by a patroller—that is, a runaway slave catcher—named Ridgeway, Cora escapes South Carolina, only to find North Carolina (again unhistorically, but "truly") engaged in genocide out of fear that negroes will outbreed the owners and do to the owners what they owners had done to them. Ridgeway captures her, but she escapes again, to Indiana, by railroad, where a utopian community gives her room to live and flourish, until once more Ridgeway magically appears—more like peristalsis than plot irruption, and by this point no more realistically motivated than Anton Chigurh at the end of the Coen Brothers's No Country for Old Men (2007)—to close the island down. After she has killed him at last, which is to say after she has flushed him from the Road, she arrives by a seven-league-boots underground handcar in something like Twain's Territory. She may continue into the dream of the West. We do not know. The book shuts here. There have been some problems along the way. By its very nature, an archipelago novel is likely to contain multitudes, and as exemplary worldlet succeeds exemplary worldlet Whitehead begins palpably to lose control over their differentiation, so that they begin to read facelessly, like names in a chronicle (as W. S. Gilbert almost said: "If everyone's exemplary / Then no one's any body"). He displays morever a kind of diffidence about his use of liberations out of fantastika to gain the perspectives he needs, the tools to carry Cora from exemplum to exemplum, and maybe a sense of psychic freedom (for us, and maybe for him as writer) from the deeper circles of Hell he depicts, but which are impossible to hold onto for long in the mind. Unfortunately, there are points where elements out of fantastika are laid down so empty of felt circumstance that they seem to come from some other book, and we begin to enter allegory territory, with the Underground Raiload a Pilgrim's Path, and the Skyscraper a Priestly Keep with Eyes on top for Capitalists to gaze through and contemplate their Domain. In the end though, maybe, these internalized diminutions of affect may have been needed to write The Underground Railroad at all. It is of inestimable importance that Whitehad found tools to bring up to us messages of the world he inhabited long enough to tell. So. We move from a story shaped to tell a world into a world shaped to tell a story. 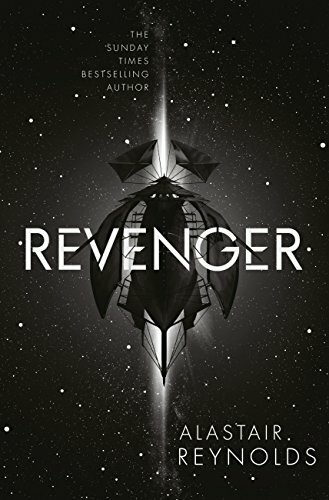 Alastair Reynolds's Revenger (2016) is a ferociously exuberant young-adultish totally out-to-lunch retro space opera which works perfectly in the far future bespoke Solar System tailored to tell it. Reynolds never calls it the Solar System. It is now known as the Congregation—mainly perhaps a reference to its having been broken up into and/or exofoliated into thousands of variform worldlets—and it has lived through several Occupations, which here means periods in which Homo sapiens has a say, though it is clear that by the current Occupation we have become a niche species allowed to flourish in a zoo far more benign than Whitehead's, though it will surely take another volume or two for us to learn why the various alien civilizations who maintain emissary populations amongst us have not simply let us die out. Reynolds never tells us—certainly not in this volume—anything too specific about the rules that govern the vast artifact of the Congregation, but they are not hard to unpack. Computers are barely mentioned (I think maybe not at all), or anything like an internet, or an ansible, or a GPS, or the Singularity of Things. There is no network monitoring or monetizing of human beings, and in the absence of anything resembling a Singularity humans are not kept tabs on (as is beginning to happen in 2016) through Reverse Turing Tests, where a trillionfold nanny with pastoral routines built in checks on its charges (us) to confirm that we remain human. Human is as human wants to be in Reynold's world. As there seems to be no FTL travel, the Congregation remains safely coextensive with vision. There are no inter-worldlet corporations to rationalize individual entrepreneurs (like our cast). There is no power , but for the excesses of individuals. There are, effectively no states. Nor are there any 3D printers, so we remain safely pre-post-scarcity, and our story can be told. I will not tell it, as so much of the fun of Revenger is finding out how much fun can be had in this playground. Enough that its protagonist goes on a quest for her lost sister that involves joining the crew of a spaceship in search of treasure troves from aeons back which have been dumped in occasionally penetrable planetoids called Baubles. The ship's crew tends to be identified by function: a fun nod to Robert Sheckley's famous "Specialist" (1953). A pirate ship intervenes. It is run by a savage villain who has the protagonist's sister in its/her clutches. The rest of the tale is like playing a magic pinball machine that knows your every wish. This time round, Reynolds gives me a very high score.